This is a short introduction to our personnel and their interests. You can click on the menu or links to get more information about each one and about student projects completed under his or her supervision. Ph.D. Case Western Reserve University. Theoretical Physics. 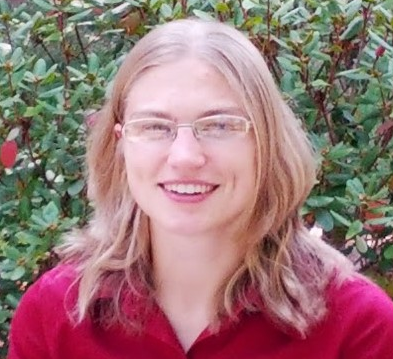 Kate studies cosmology, fundamental physics, and interdisciplinary science. 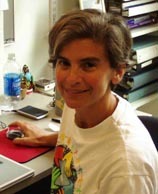 Her first publication appeared in Nature and debunked a mathematical technique which had previously been used to identify authentic drip paintings by Jackson Pollock. 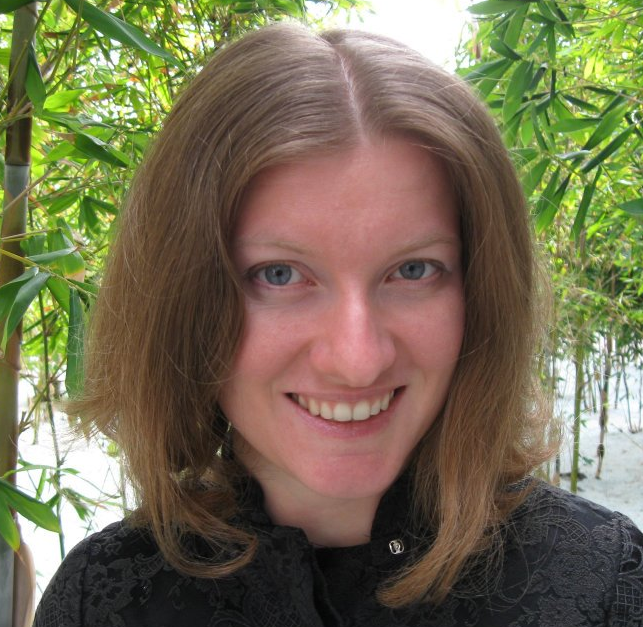 Since then she has published on diverse topics such as gravitational radiation arising from cosmological phase transitions, mathematical analogies between ordinary conducting materials and certain models of dark energy, and non-Hermitian theories of quantum mechanics which describe new fundamental particles and quasi-particles. Ph.D. University of Maryland. Condensed Matter. Ph.D. Princeton University. Computational Physics and Instrumentation. Currently collaborating with Gordon Jones on projects in Nuclear Physics. Brian's interests focus on modelling physical systems with computers and building new kinds of physics instruments. He is currently working on electric and magnetic field modelling for the aCORN expereriment and on magnetic field models for an upcoming neutron lifetime experiment. Students in his course, Electronics and Computers, learn C programming and computer interfacing including robotics. Ph.D. University of California Santa Barbara. Condensed Matter. Ph.D. Princeton University. Experimental Nuclear Physics. Gordon's research has involved a mix of lasers, optics, NMR, and low energy nuclear physics. 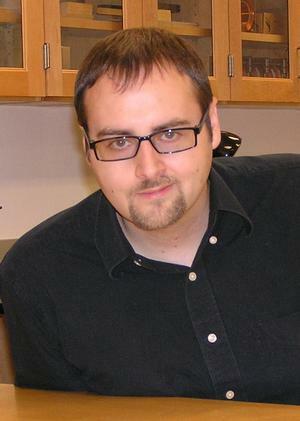 His present interests center on fundamental measurements with neutrons in the aCORN experiment and an upcoming experiment to measure the neutron lifetime at the NIST neutron beam facility. He has a continuing interest in the production and uses of polarized Helium-3. Applications include neutron spin filters and the imaging of human lungs using inhaled He-3 and magnetic resonance imaging. He teaches courses on quantum physics and research methods. Ph.D. Pennsylvania State University. Theoretical Physics. 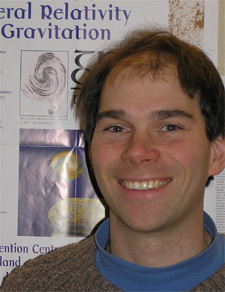 Seth works in quantum gravity, a field devoted to finding the structure of spacetime on the smallest possible scales. Recently, his research focuses on finding observable consequences of quantum gravity and constraining the theory using current astrophysical observations. He has been a Lise Meitner Fellow at the Institute for Theoretical Physics of the University of Vienna. His work appears in journals including American Journal of Physics, Classical and Quantum Gravity, the New Journal of Physics, and Physical Review D.
Steve works with us to design and build new equipment, and organize and maintain the equipment we have. He has extensive experience in metal and wood working, and in electronics construction and repair. Walt Zarnoch: Walt has extensive experience using and teaching fabrication techniques in both industrial and academic settings. He has helped design and fabricate laboratory equipment at Hamilton in connection with projects that are part of national scientific collaborations. Ph.D. Australian National University. Laser Spectroscopy of rare earth based solids. With the help of grants from Research Corporation and N.S.F. she has established a laser lab here. 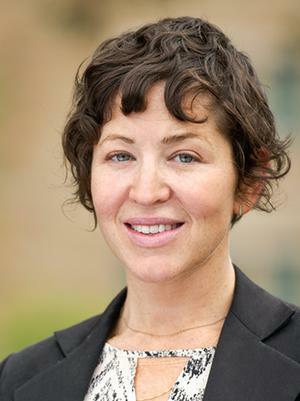 One of her students, Brandon Collings '94, won the Apker Award for undergraduate research, a national award offered by the American Physical Society. Current research focuses on synthesis and spectroscopy of sol-gel glasses containing rare earth impurity ions. Ph.D. Syracuse University. Non-Linear Systems, Astronomy, and Acoustics. Student projects with Peter included studies of Helmholtz resonators coupled to acoustic waveguides, a study of non-linear dynamics in an impact oscillator, a study of complexity and cellular automata with an application to traffic flow, and the application of Maple to the analysis of the gravitational three body problem. He taught courses on statistical physics and astronomy among other topics. Ph.D. M.I.T. The Foundations of Quantum Theory. Phil's theory of Continuous Spontaneous Localization has attracted considerable international attention. Examples of student projects with him are Perfectly Disturbing Measurements with Toru Ohira '86, Apker Finalist, Statevector Reduction in Discrete Time with Akihiro Nakano '92, and Spontaneous Radiation of free electrons in a Nonrelativistic Collapse Model , Qijia Fu '96, Apker Finalist. Nuclear Physics, Psychophysics and Environmental Physics (including solar energy, radon, nuclear physics and the indoor climate, and ancient Roman baths). Students joined him in projects in all of the above fields. Work with students on the Solar Classroom at Hamilton and computer energy management at the College was presented at international conferences. 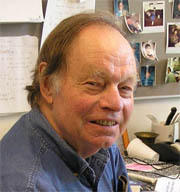 Laterly, he used his experience in experimental nuclear physics, in work with Professor Gene Domack (Geology) on radioactive dating of Antarctic core layers.